“K-T” featured in “Blender Art Magazine #28”! 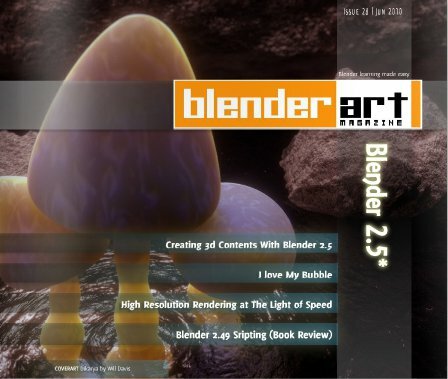 My artwork, “K-T,” has been featured in the latest issue of Blender Art Magazine, Issue #28. You can download this issue (and all issues) as a free .pdf file HERE. Alternatively, you can read the magazine in online format HERE.